NW side of Wigtown, past the prominent hilltop martyrs memorial. 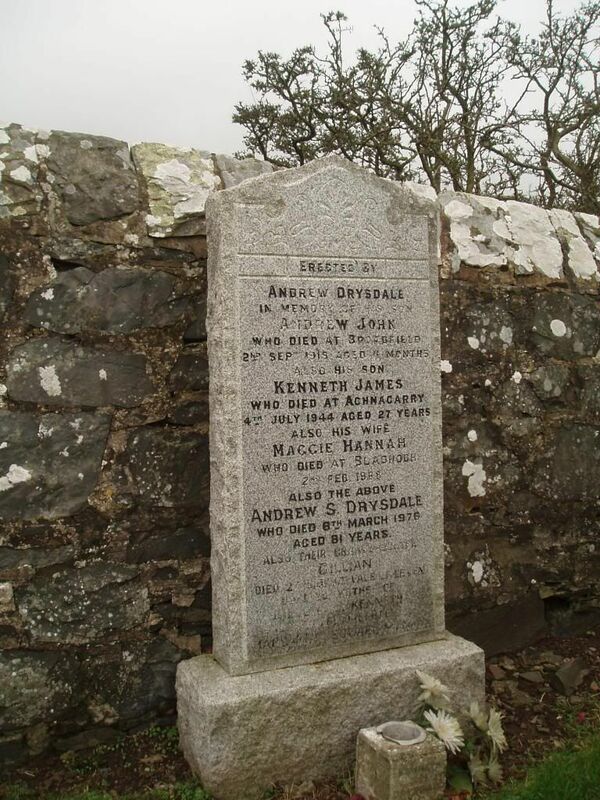 Additional information: Son of Frank and Margaret Davidson, of Wigtown. 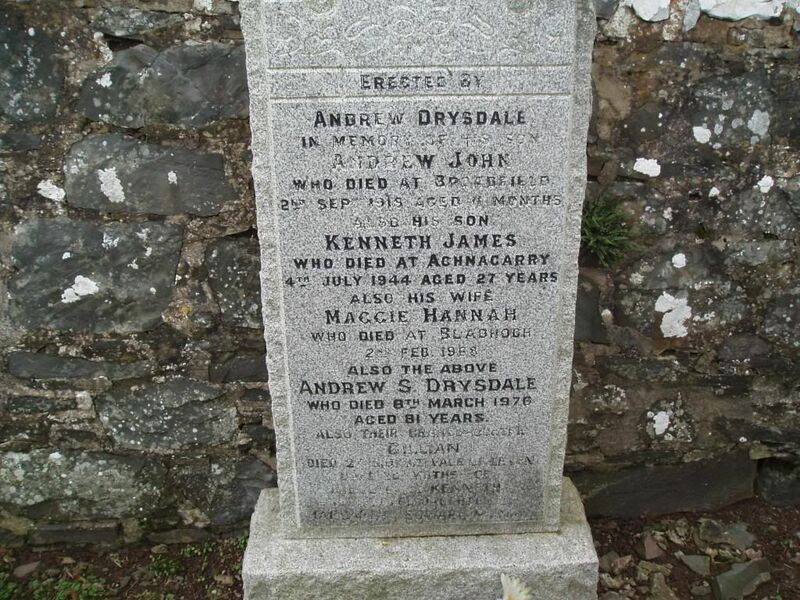 Name: DRYSDALE, KENNETH J. H.
Additional information: Son of Andrew Sproat Drysdale and Maggie Drysdale, of Wigtown; husband of Eileen Doris Drysdale, of Wigtown. 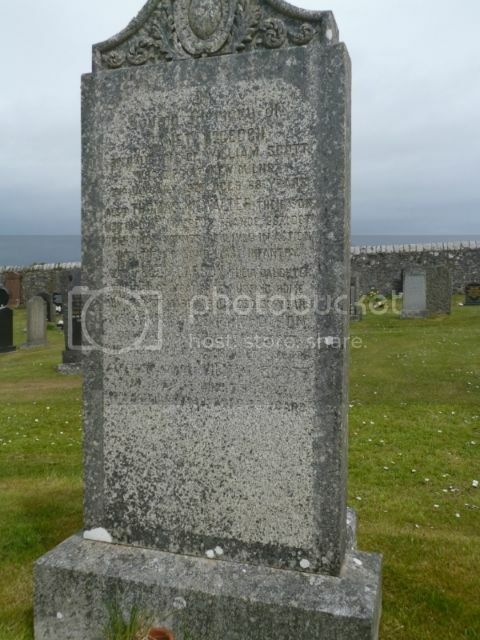 Additional information: Son of Grace Malone, of 19, High St., Wigtown. 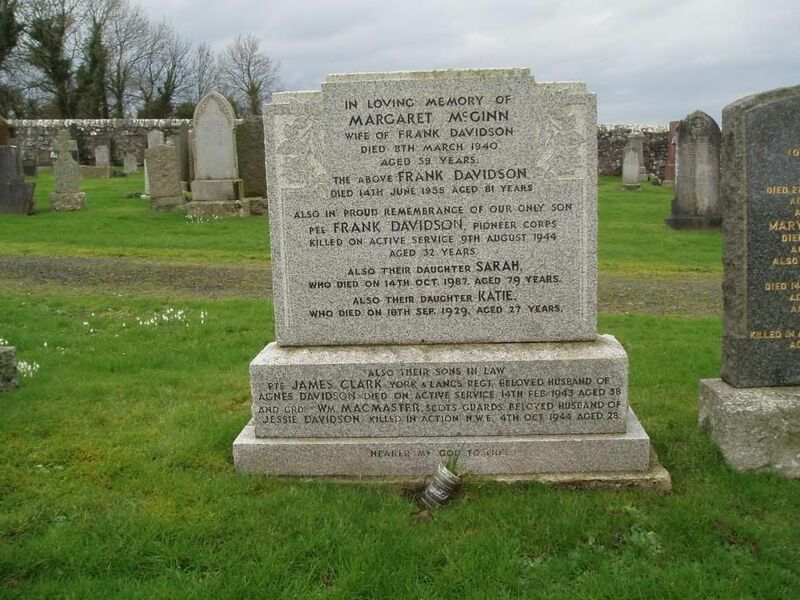 Additional information: Son of Thomas and Margaret McCaskie, of 22, Agnew Crescent, Wigtown. His brother David also died on service. 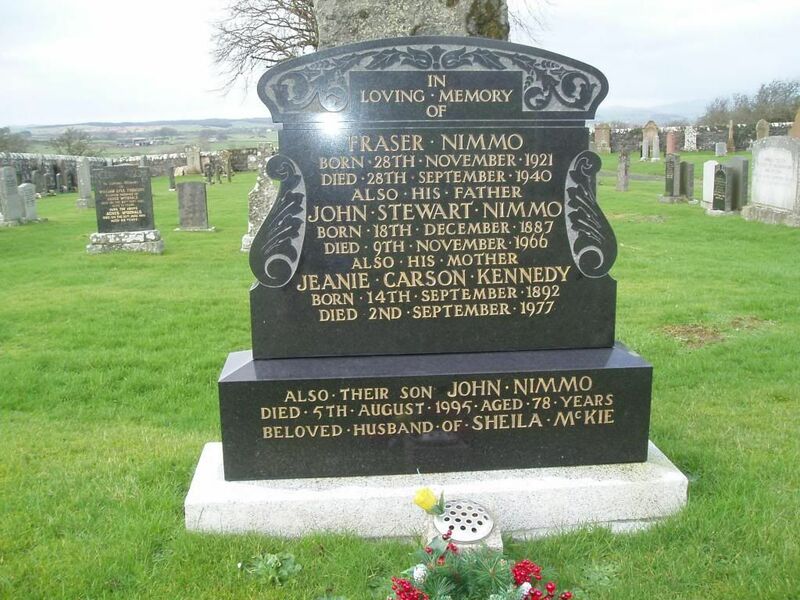 Additional information: Son of John S. Nimmo and Jeanie C. Nimmo, of Wigtown. 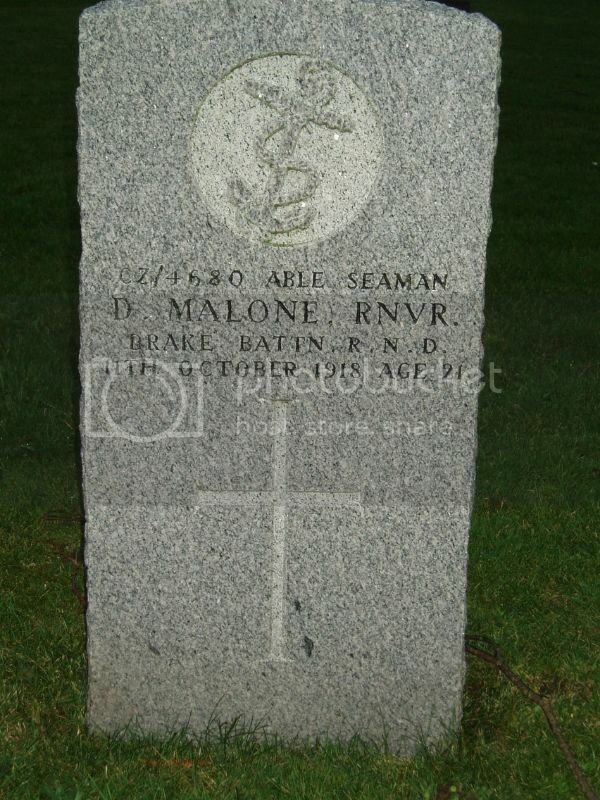 Here is a photograph of David Malone's headstone. 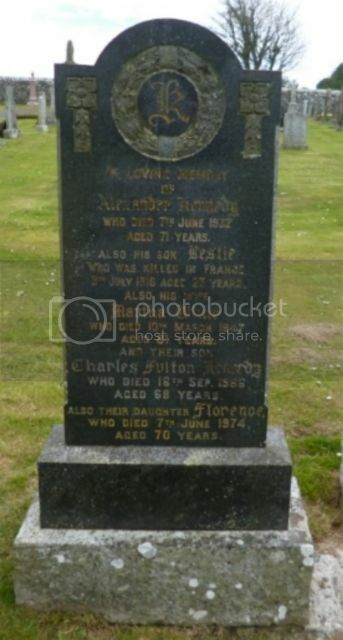 David's brother Blain (Loyal North Lancashire reg) was also killed in the war and his brothers, Robert and James were wounded. 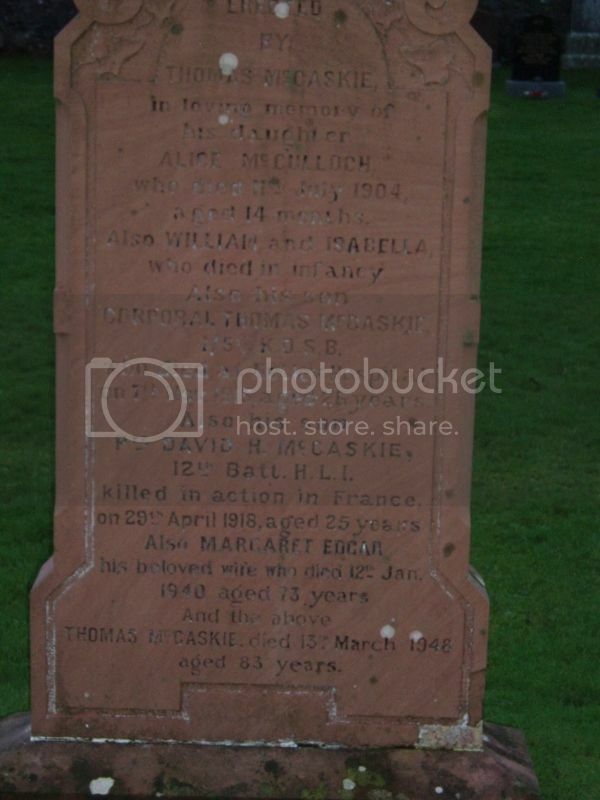 Here is Thomas McCaskie's headstone. 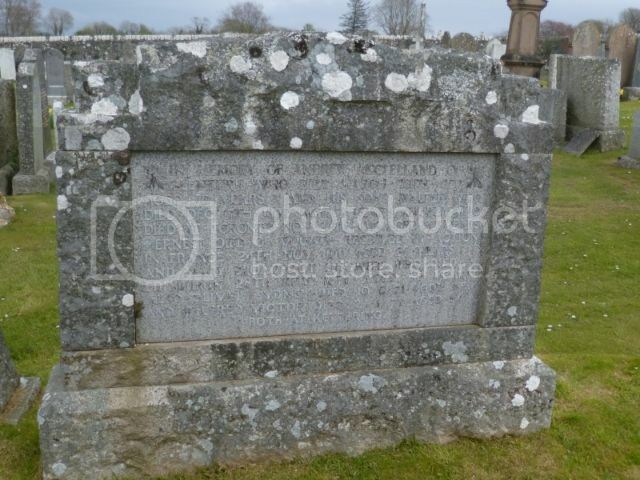 I'll also post details of his brother, David, who is also mentioned. 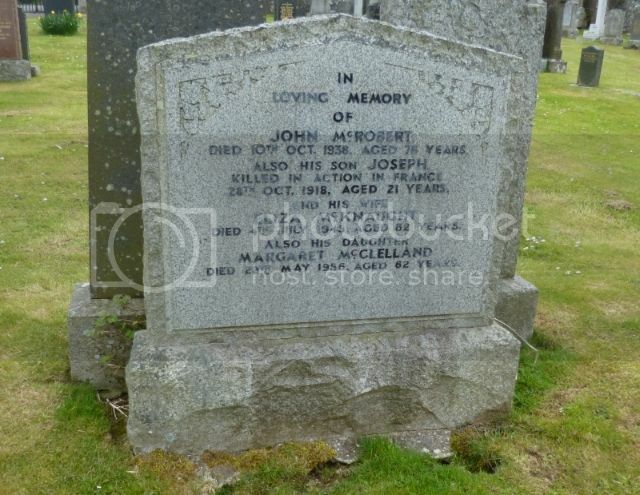 Additional Information: Son of Thomas & Margaret McCaskie, 22 Agnew Crescent, Wigtown. 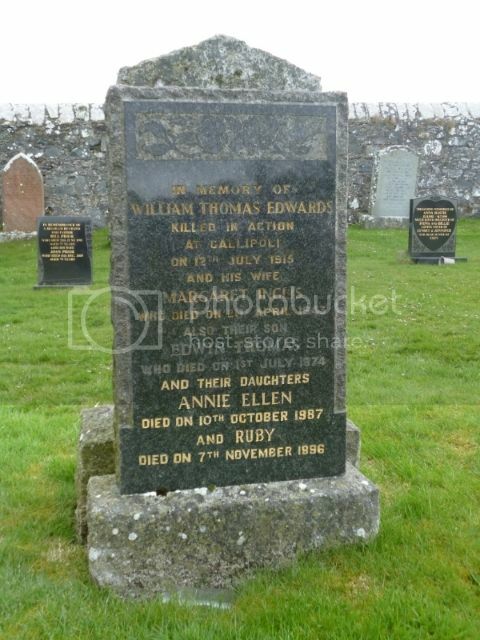 His brother, Thomas, also died. 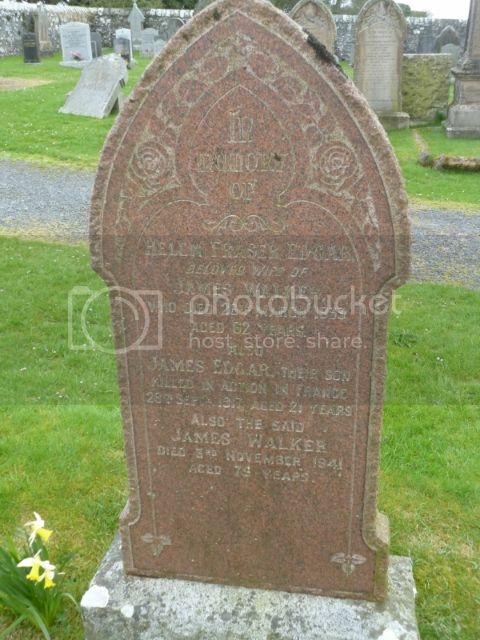 Although James Walker's name appeared on the draft list of names to be included on Wigtown War Memorial in an edition of the Galloway Gazette, it was not included when the Memorial was completed.